Enter <label>.c.s73cdn.net/<monitoringfile> in a page tester, such as Pingdom’s. 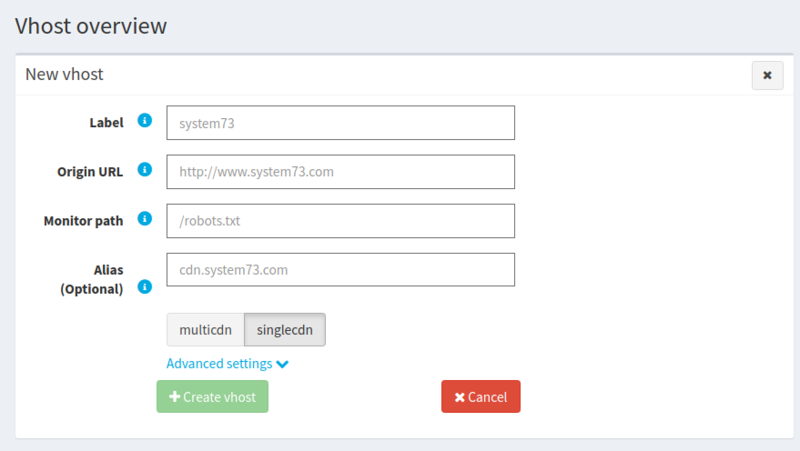 You can proceed to integrate using the c.s73cdn.net host we provide you with, or first setup your own alias at your DNS provider. © 2019 Copyright System73 Multi-CDN – Documentation built with Hugo using the Material theme.